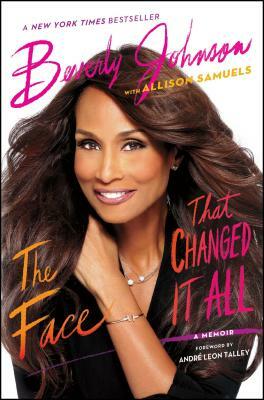 A New York Times bestseller, this revelatory and redemptive memoir from Beverly Johnson, the first black supermodel to grace the cover of Vogue, and who, over five hundred magazine covers later, remains one of the most successful glamour girls of all time, goes behind the lens and glossy magazine covers. Growing up a studious, bookish child during the socially conscious, racially charged '60s, Beverly Johnson never imagined that she would irrevocably change modern fashion by becoming the first black cover model of American Vogue in 1974. What followed has been a successful, multifaceted, and inspiring career in modeling. In The Face That Changed It All, Beverly Johnson brings her own passionate and deeply honest voice to the page to chronicle the highs, lows, and everything in between of her career. In this "revealing, even harrowing" (USA TODAY) memoir, with glamorous tales about the hard partying of the 1970s and Hollywood during the '80, Johnson details her many encounters and fascinating friendships with Jackie Kennedy, Calvin Klein, Andy Warhol, Elizabeth Taylor, Michael Jackson, Jack Nicholson, Keith Richards, and Warren Beatty. "Refreshingly brave and tough-minded in her self-assessment" (Variety), Johnson reveals the demons she wrestled with over the course of her storied career. She brings us into the heart of her struggles with racism, drug addiction, divorce, and a prolonged child custody battle over her daughter that tested her fortitude and sanity. She shares for the first time intimate details surrounding her love affair with the late tennis icon Arthur Ashe, pays homage to her mentor, the late Naomi Sims, while lifting the veil off the complicated, catty, and often times tense relationships between models during her fashion heyday. Featuring gorgeous, never-before-seen photos from Johnson's childhood and modeling days, The Face That Changed It All gives a no-holds-barred look at the lives of the rich, fabulous, and famous. It is also a story of failure and success in the upper echelons of the fashion world, and how Beverly Johnson emerged from her struggles smarter, happier, and stronger than ever.